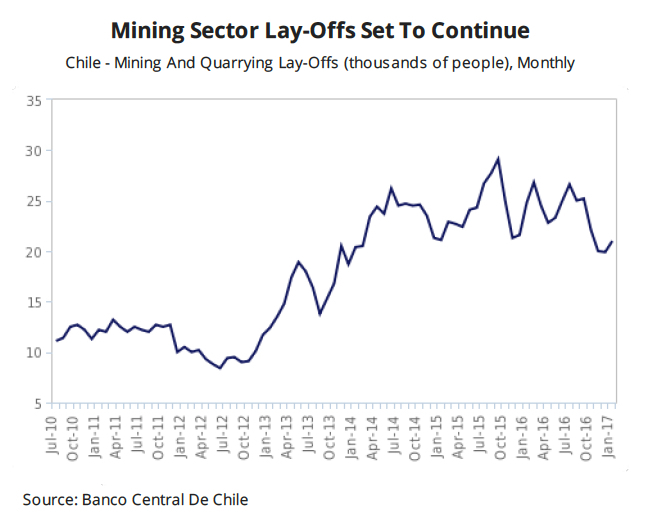 A historically long 43-day strike at BHP Billiton’s (ASX, NYSE:BHP) (LON:BLT) Escondida copper mine in Chile, the world’s largest, will have less of an impact in the country’s overall annual production that originally though, experts say. While the country’s central bank said on Monday that the stoppage would knock an entire percentage point off GDP growth in the first quarter, analysts at BMI Research argue that the nation’s copper sector will return to growth by 2018. 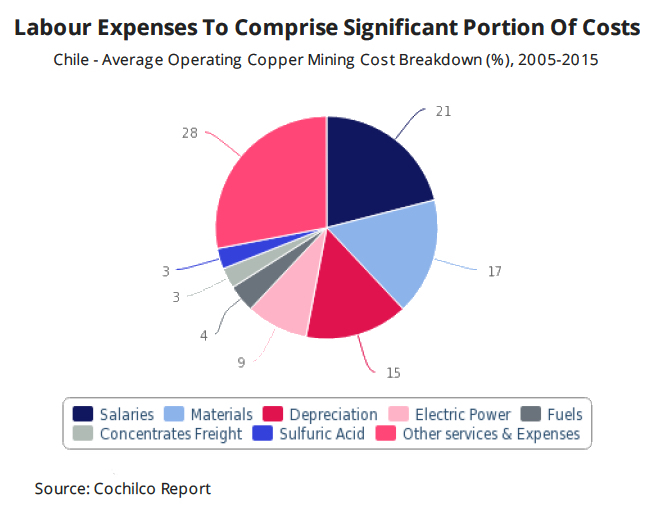 “We have revised down Chile's copper production forecast, from 1% growth in 2017 to a modest 1% contraction due to the estimated losses from Escondida and a lack of any significant new capacity expected to come online over the coming quarters ,” BMI researchers wrote on a note Wednesday. One option the government is studying to support output could be to offer tax incentives or modify regulations to encourage miners to free up exploration contracts they do not use, mining minister Aurora Williams told MINING.com last month. 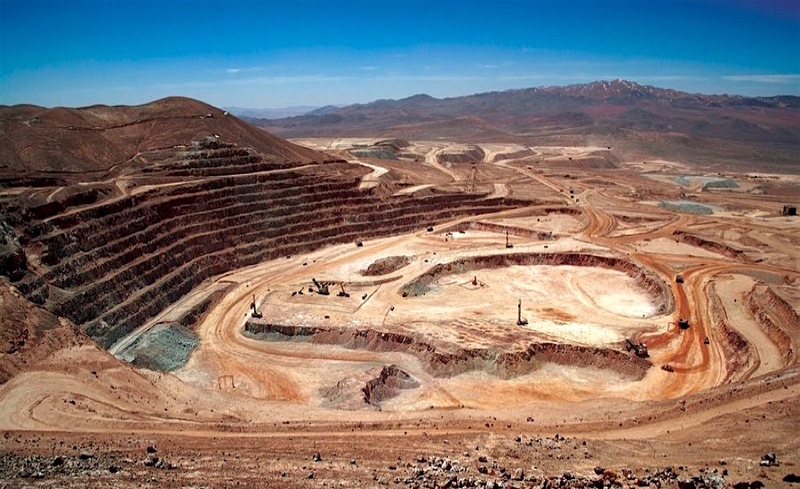 Upcoming contract negotiations, for which the Escondida strike set a tense tone, include Anglo American's and Glencore's Collahuasi mine and Antofagasta Minerals' Zaldivar. The scheduled talks, BMI analysts say, may be even tougher than the recent failed negotiations at Escondida, as Chile’s new labour law — which comes into effect this month — strengthen union positions by preventing firms from reducing previous benefits.